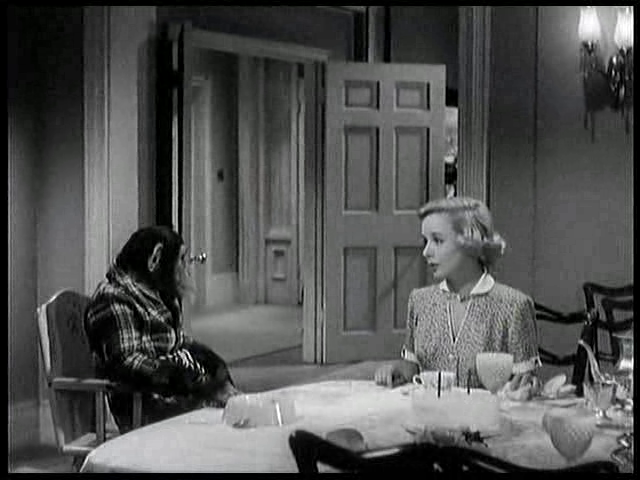 By secretly raising a chimpanzee like his own child, a psychology professor (Ronald Reagan) whose father was a notorious thief attempts to prove to his future father-in-law (Herbert Heyes) that environment is more important than heredity when it comes to building character, and that he’s thus worthy of marrying Heyes’ daughter (Lucille Barkley). Complications arise, however, when Barkley becomes jealous of the lovely young nanny (Diana Lynn) Reagan hires to care for Bonzo the chimp, and Lynn finds herself falling in love with Reagan. In his review of Bedtime for Bonzo, Peary dates himself (and GFTFF) by writing that “Democrats have often screened this farce at political fundraisers, believing that when voters saw candidate Reagan playing papa to a chimp it would reduce his credibility as a candidate for Governor or President”. He points out, however, that “of course these attempts… have always backfired because the picture is surprisingly enjoyable, amusing rather than campy”. He argues that “the cute and affectionate Bonzo is a lot of fun to watch”, and that “Reagan proves to be an adequate partner to the chimp, only rarely being his foil and never playing the fool”. He writes that “as would-be voters discovered, Reagan comes across as reliable, friendly, earnest, and an all-around good sport” — not to mention “predictable — a characteristic that would appeal to voters who always confuse the character on screen with the actor who plays him”. 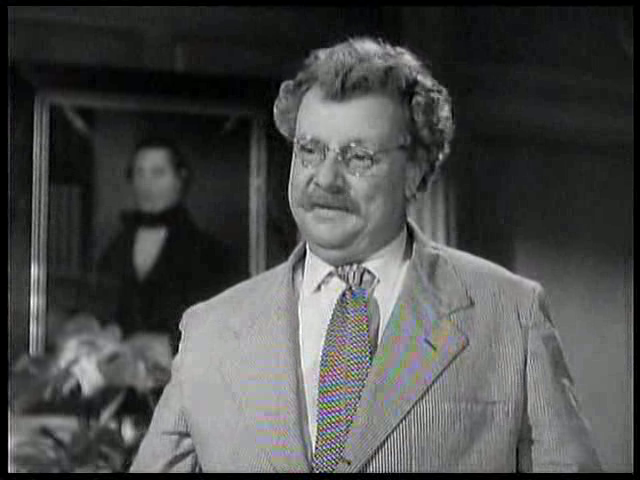 In his more extended review of BfB in his Cult Movies book, Peary elaborates upon the film’s importance as perhaps the most notorious entry in Reagan’s limited, largely unexceptional acting career (with just a few pleasant surprises — such as the pre-WWII melodrama Kings Row — demonstrating his greater potential). 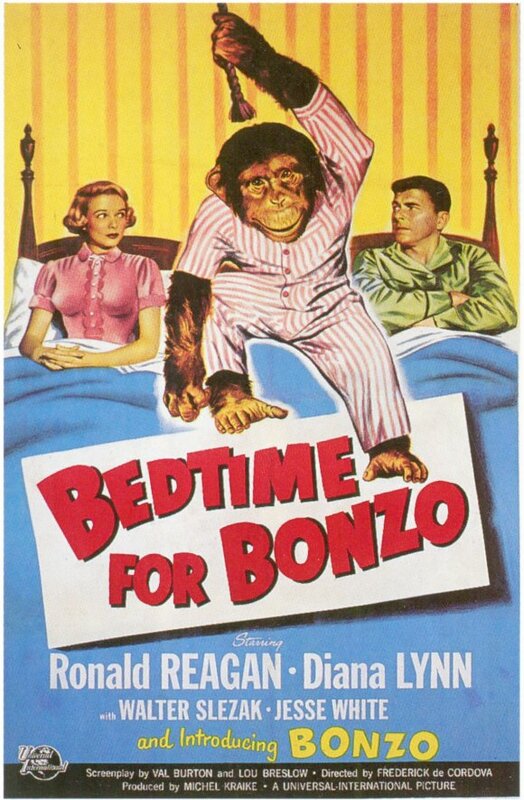 These days, however — several decades after Reagan’s political career is over — Bedtime for Bonzo holds much less cult appeal than it once did, and must instead be judged upon its own merits. As such, it remains an “amiable film”, innocuous and reasonably entertaining, but certainly not one film fanatics need to stand up and take notice of. Its primary audience, naturally, will be people who enjoy watching trained animals on screen. With that said, Bonzo is nicely supported by no-nonsense Lynn (always a treat) and by Walter Slezak in a rare good-guy role as the professor who loans Bonzo to Reagan. No, though it’s worth a look for its erstwhile curiosity value. In full agreement with the assessment – not must-see. It’s a harmless-enough flick (if a little too one-note) but, alas, even at a mere 83 minutes, it does start to feel long after about half of its running time.